LinMot® extra-low voltage (ELV) positioning controllers are suitable as positioning systems for linear, as well as rotative drives. The ELV technology is especially suitable for small drives. Furthermore it is extremely resilient, reliable and impervious to any kind of disturbances. All major fiedbus systems are supported. The controllers are distinguished by their extreme compactness, due to modern semiconductor and ELV technologies. The drives are connected to the controllers through one-cable technology. With these products we deliver examples for circuit layouts, ready-to-use parameterized controllers, custom cables and matching power supplies. 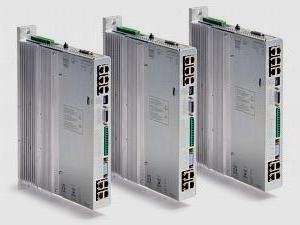 LinMot® 400 VAC positioning controllers are perfectly suitable as positioning systems for linear drives. The 400 VAC technology is ideal for larger direct drives, as well as for high-dynamic drive systems. 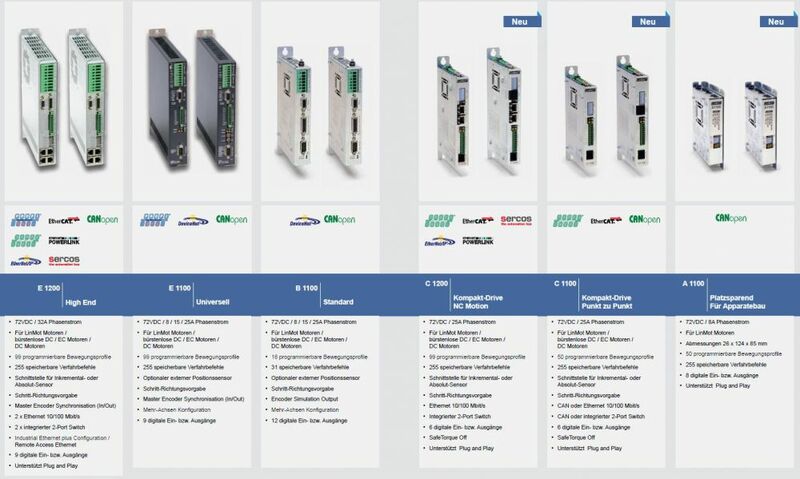 All major fieldbus systems are supported. 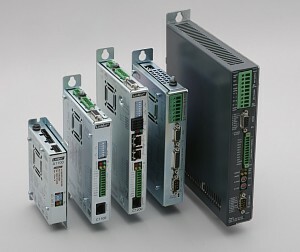 The linear drives are connected to the controllers through two-cable technology. With these products we deliver examples for circuit layouts, ready-to-use parameterized controller and custom cables. > Installation and maintenance guides, as well as the declaration of conformity are included in the LinMot-Talk software and can be found under bookmark "manuals".